The SE-9 wireless headset will fit under many types of helmets and provides the same hearing protection as our SE-8 headset. With flex boom, volume control and no-glare frame. The SE-8 style of headset will fit under many types of helmets and provides the same hearing protection as our SE-48 headset. With flex boom, volume control and no-glare frame. 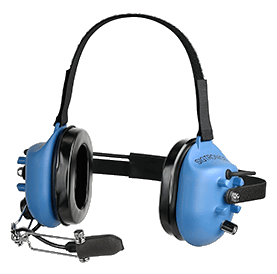 Perfect for hearing protection when no helmet is required. Available in a wide selection of models with our no-glare powder coated frame, microphone flex boom, and volume control. 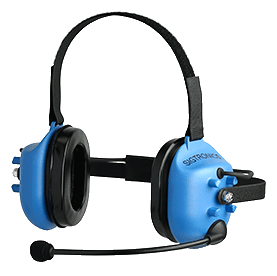 This single ear cup model will allow you to hear outside sounds and conversation, and still receive headset communication clearly. With microphone flex boom, volume control and no-glare powder coated frame. 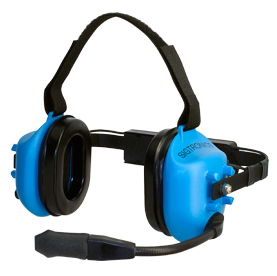 This style will fit under many types of helmets and provides the same hearing protection as our SE-8 headset. With metal microphone boom, volume control and no-glare frame. The same frame design as our SE-48 only with a metal mic boom instead of a flex boom. For use when no helmet is required. Available in a wide selection of models with our no-glare powder coated frame, and volume control. 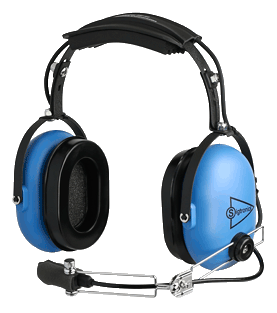 Our ultra-lightweight headset is great teamed up with our PRA. It will easily fit under many styles of helmets and will keep incoming transmissions private. 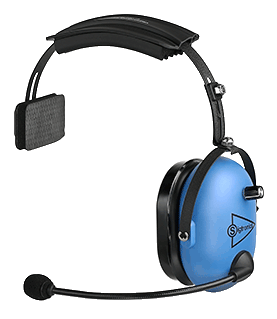 The single ear cushion will allow you to receive headset communication clearly and still hear outside sounds and conversation. No volume control with this model headset. Voice activated intercom systems with 2 to 12 crew stations, and up to 4 radio transmit positions. Will interface with up to 3 mobile radios. Crash Fire Rescue vehicle voice activated intercom systems with 2 to 8 crew stations, and up to 4 radio transmit positions. Optional simultaneous transmit capability for 2 mobile radios. The Mobile Radio Interface Module allows radio monitoring as well as radio transmit capability from a single Sigtronics headset via a Push-To-Talk (PTT) switch. SAFE Dual Radio Simultaneous Transmit and Intercom. Allows transmit and receive on two radios at the same time. Monitor a third radio and talk to each other via the built-in voice activated intercom. With 2 to 4 headset stations and 2 transmit positions. These high-quality adapters are used to connect Sigtronics’ emergency / tactical intercoms to your mobile radios. No modifications are required! Your existing radio hand mic will still function as normal. More Information Our complete Mobile Radio Adapter list. Our Portable Radio Adapters connect between a Sigtronics headset and your portable radio. 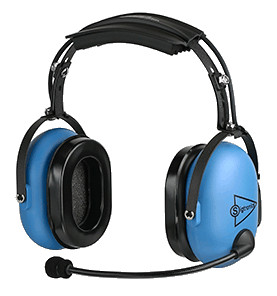 Great if you need the hearing protection of a full headset or just the capability to keep incoming transmissions private. All radio adapters come with a belt clip, push-to-talk switch, and a standard headset jack. More Information Our complete Portable Radio Adapter list.